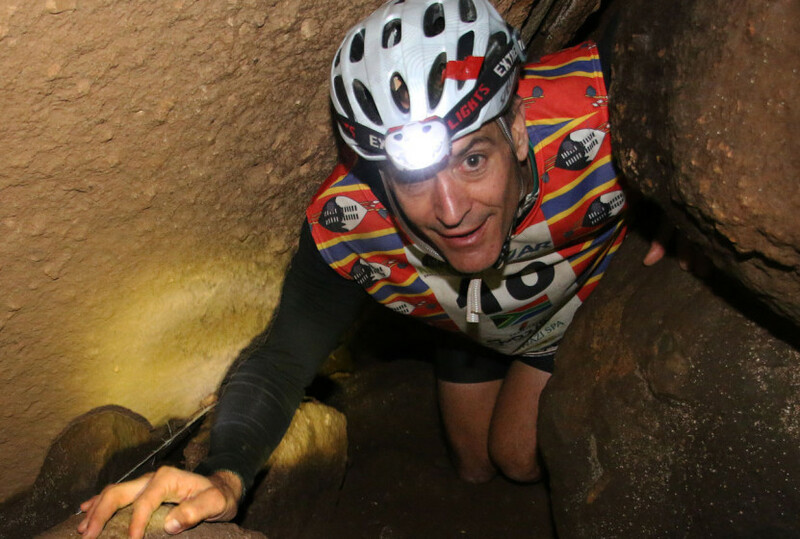 Day 2 of Expedition Africa 2015 saw competitors in this 500km adventure race arriving at Swaziland’s Gobholo Caves. Believed to be possibly the largest granite cave system in the world, the Gobholo Caves remain 95% unexplored. 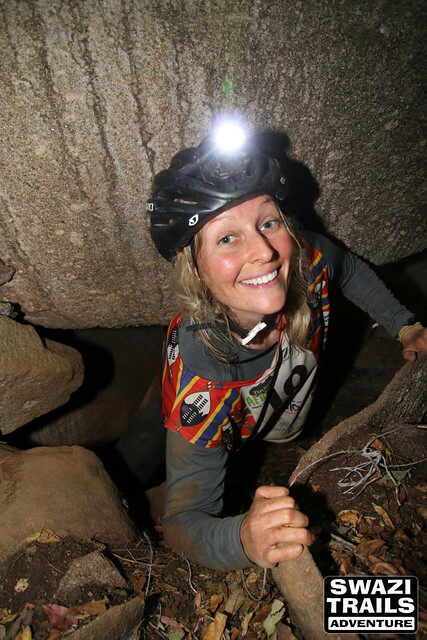 To avoid competitors getting lost in the labyrinth of underground passages, Swazi Trails prepared a special marked route with string. This does not mean the route was easy! 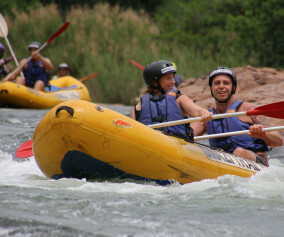 The fastest team was Merrell Adventure Addicts, the eventual race winners, who moved up from 4th to 3rd place during this leg. They took a speedy 40min to complete the approximately 800m of cave passages. The slowest team got full value from the section and spent over 2.5hours underground.